Where’d this motorcycle obsession come from, anyway? If you’ve perused the pages here, it’ll be obvious to you that I’m a pretty big fan of motorcycles. I don’t have a clue where this sudden love came from. I have a negative interest in nice cars (meaning I prefer to avoid them entirely) and have often found motorcyclists to be loud menaces to society, and a total waste of money, most of the time. I don’t particularly enjoy mechanics, or didn’t then, and I think sentimental attachment to stuff should be met with healthy doses of purging. Worse, I was the first on the scene of a horrific motorcycle accident when I was just 17, which left me traumatized for weeks. 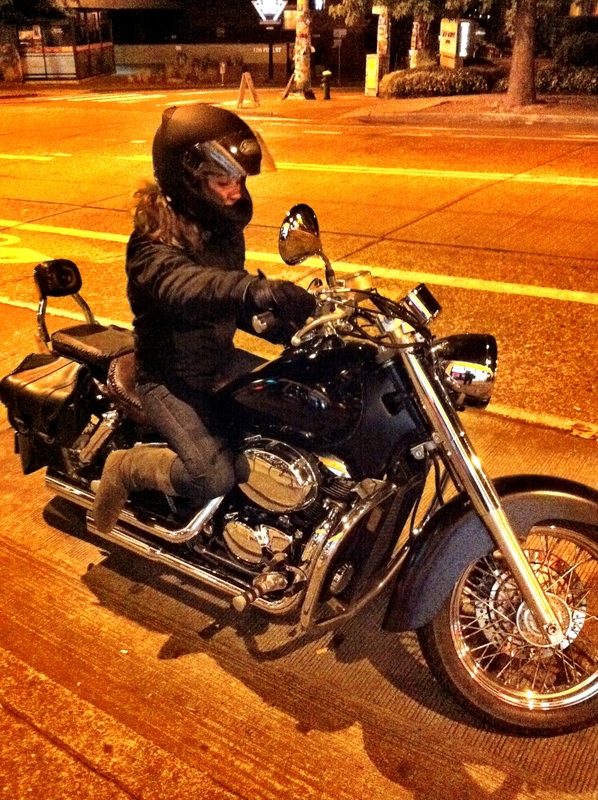 So, it came as a surprise that one day in the Spring of 2011 while fantasizing about my next adventure, I found myself infatuated with motorcycles. The next thing I knew I was out buying a big ol’ shiny cruiser. I didn’t even know where the brakes were. 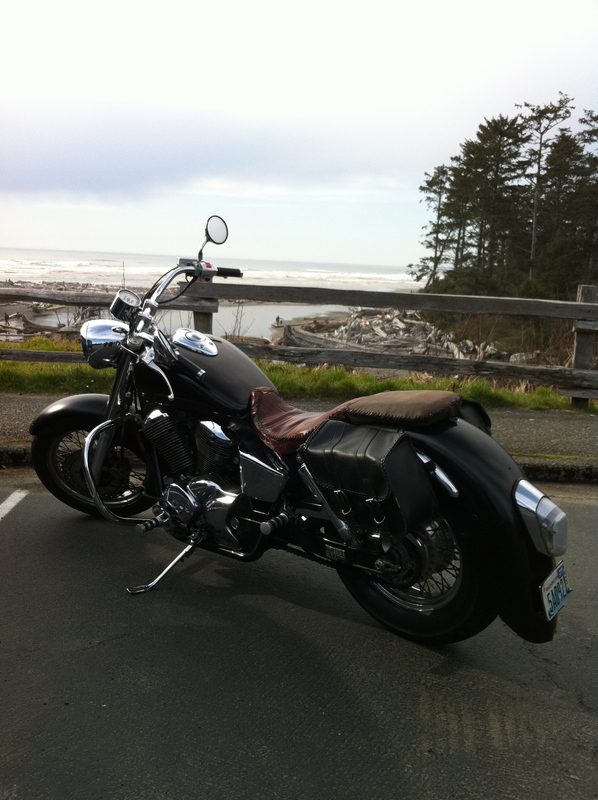 My first bike: “Jenny”, a 1998 Honda Shadow VT750. Lots of long 500 mile trips on this one. My second bike: A Kawasaki KLE 500, nicknamed “Ghettobike”, and for good reason. Regulator went out mid-Euro trip, weird fuel line problems, stalled at altitude, sucked down oil like a mo-fo, rattled like hell, and important parts would sometimes fly off. Ghettobike still did over 140km/h on the German autobahn (sorry mom) and got me 3,000 miles around 8 European countries, so all in all it was a success, with lots of fun little challenges and new friends made along the way. 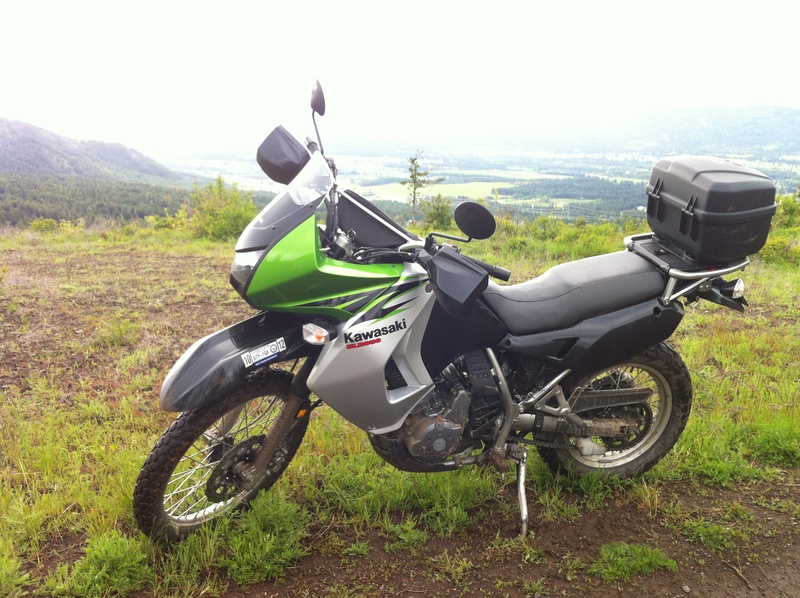 My third bike: Kawasaki KLR 650, no name, no mystery problems. Installed lowering links and shaved down the seat so my short legs could reach the ground. After all that, still couldn’t put more than a few toes down. Too big. More pictures of my three rides below. Looking into getting my 4th bike now, in Australia. 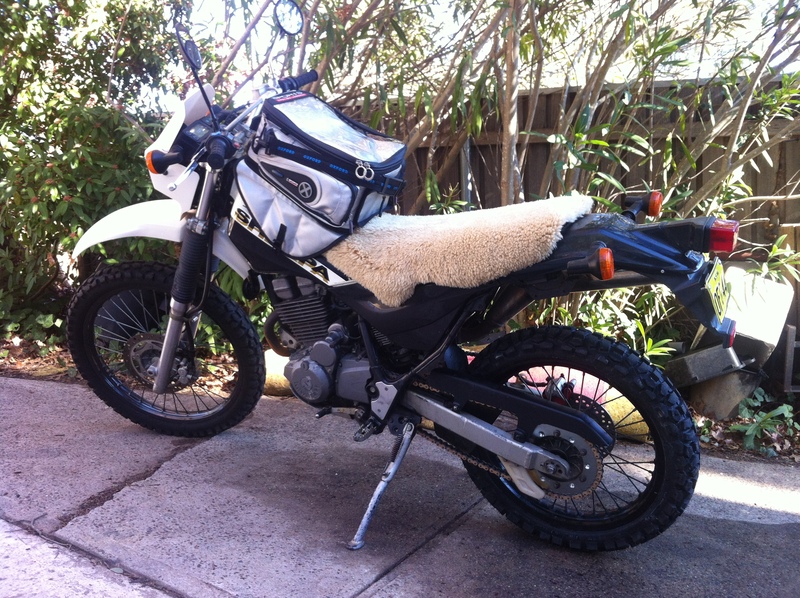 Next bike: KL250 Super Sherpa! Fingers crossed I find a good one. Both feet will be firmly planted on the ground on that little baby. No more big tall bikes for me.*UPDATE! SUPER SHERPA IS A DONE DEAL! I found a great little 2001 Sherpa with 6,000 miles. It needed a bit of love, but was really cheap with a strong engine and body. I’ve already gone on a 1,200km trip, which you can read about here. Loving my new Sherpa, especially the 75/mpg. Shaving down the seat. This was easy, but would have cost $400 to have it professionally done! 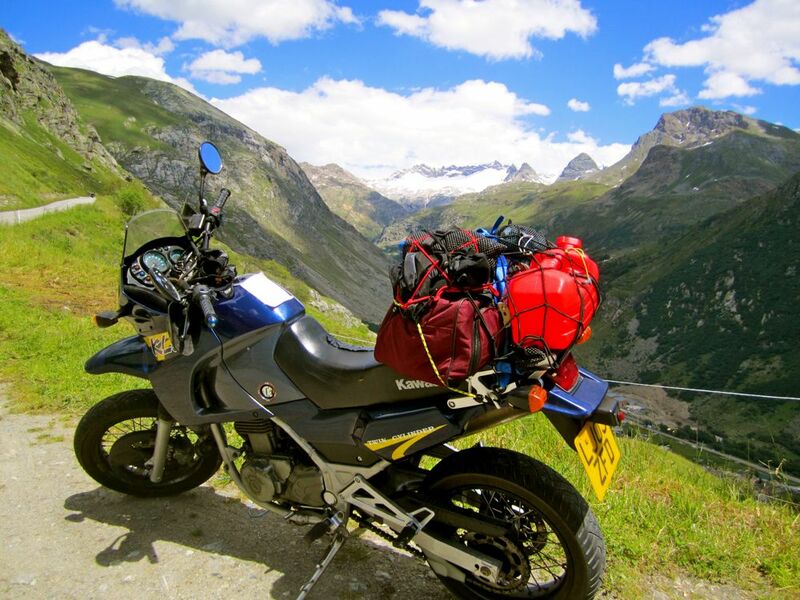 It sounds like you have had some incredible journeys on your bikes. For me my favorite bike is my next one. Not that I constantly buy new bikes but I am always looking for my next bike. It’s kind of a problem that I have.